On Friday, LaMelo Ball was officially introduced as a member of the SPIRE Institute basketball team. GENEVA, Ohio -- LaVar Ball just landed in Northeast Ohio. So you'll have to forgive him if he doesn't have his geography down yet. "For everything to line up, I did not know the school to be at was going to be SPIRE, somewhere in Cleveland, Ohio," Ball said inside the gymnasium at the SPIRE Institute on Friday afternoon. Technically, Ball was in Geneva -- about 50 miles northeast of Cleveland -- but that's beside the point. 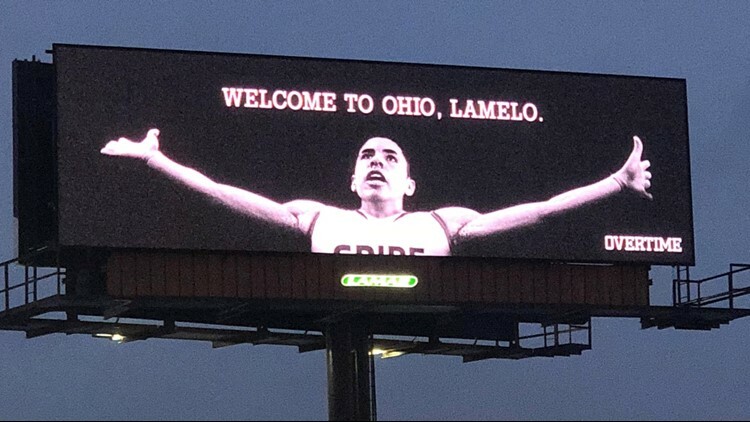 What did matter was that the patriarch of basketball's most famous family was at a 750,000 square foot Olympic training center just outside of Ashtabula on Friday to reintroduce his youngest son, LaMelo Ball, to the high school basketball scene. 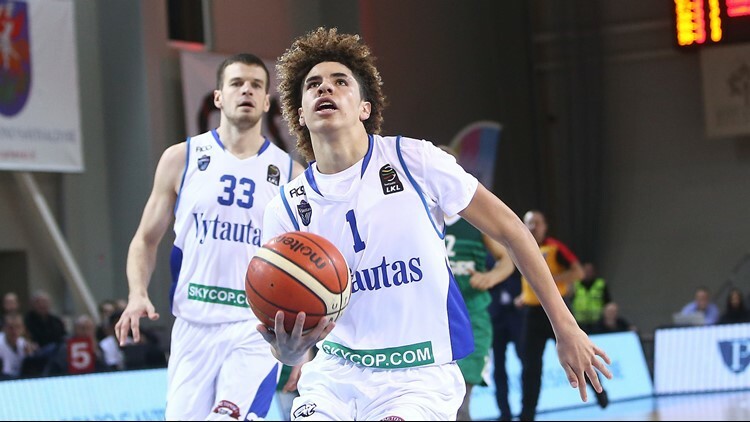 More than a year after leaving Chino Hills High School in Southern California to pursue a career in Lithuania before more recently playing in his father's JBA, LaMelo has opted to resume his high school career. He'll do so playing for head coach Jermaine Jackson at the SPIRE Institute, which has become a destination for some of the nation's top recruits in recent years. There's still some uncertainty surrounding Ball's arrival in Ohio -- particularly in regards to his eligibility at the college level. A former 5-star recruit who was once committed to UCLA, Ball has been removed from most recruiting rankings as it's been presumed that his overseas career brought an end to his eligibility. The Ball family doesn't believe that to be the case, insisting because he never accepted money, his eligibility remains intact. On Friday, LaMelo said he hopes to play a top college program -- he named Duke, North Carolina, Kentucky and Michigan State among others -- before entering the NBA Draft after just one season. What isn't up for debate regarding LaMelo's new venture is like most activities Ball-related, there's plenty of fanfare to be found. Prior to his press conference, the digital platform "Overtime" erected a billboard just outside of Downtown Cleveland, welcoming the youngest brother of Los Angeles Lakers point guard Lonzo Ball to Ohio. LaVar Ball, who's rarely at a loss for words, couldn't quite explain how his son found the SPIRE Institute, other than to say it was the prep team's desire to add LaMelo that stood out most. The CEO of the 'Big Baller Brand' also noted that it was his fatherly instinct that led him to believe LaMelo wanted to return to the high school basketball -- a desire that ultimately led the 6-foot-7 point guard to Northeast Ohio. "Since LeBron [James] left, I brought you a Ball boy," LaVar said. Ever since the Ball family first came into the spotlight following Lonzo's emergence at UCLA two years ago, LaVar has spoken of a grand plan that would ultimately lead to his three sons playing together on the same NBA team. Admittedly, a stop in Northeast Ohio -- be it in Cleveland, Geneva, or elsewhere -- was never a part of that blueprint. But that doesn't mean he's giving up on it. "It's not a detour," LaVar said. It's just a re-route. Whatever's best for my son."